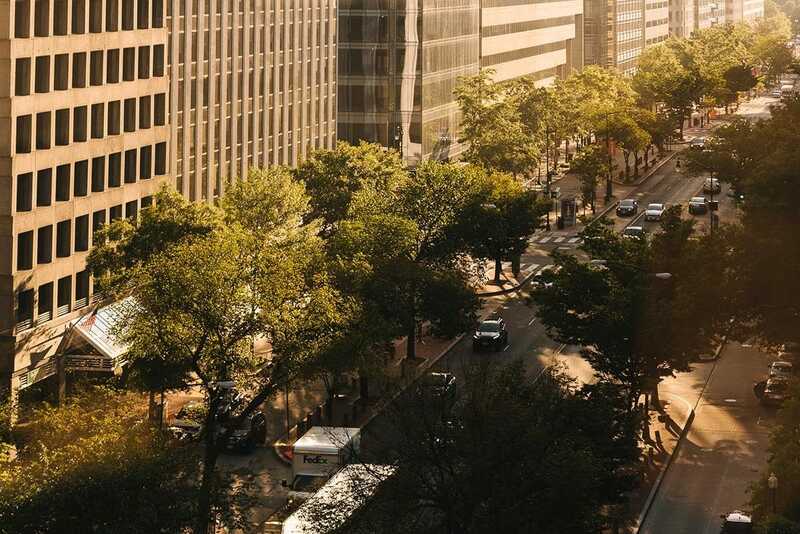 The Golden Triangle is the heart of Washington, DC’s central business district — bustling, vibrant, and bursting at the seams with innovation, culture, and commerce. Within these 43 blocks, there are nearly 6,000 businesses, around 250 restaurants serving a variety of cuisines, and almost 34 million square feet of office space. With public realm projects and private development constantly underway (see Pending Redevelopment map here), the landscape of the Golden Triangle continues to grow and evolve. Each summer, the Golden Triangle BID runs an outdoor exercise series called TriFit. 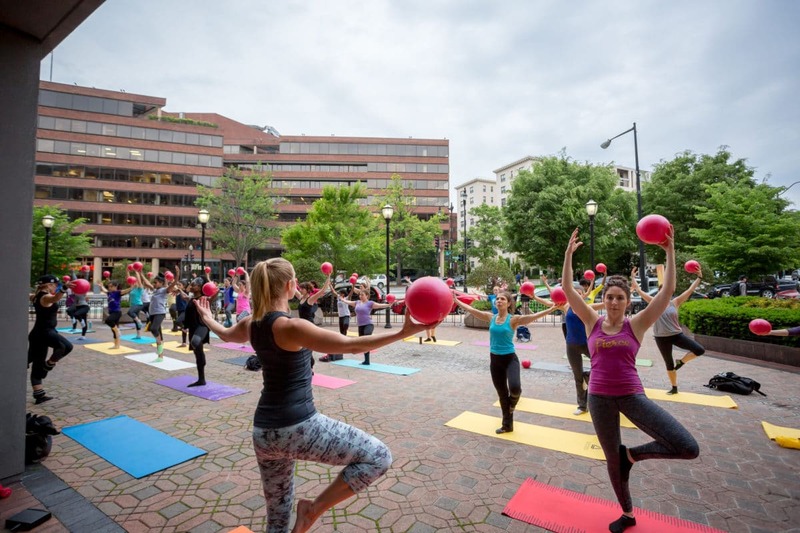 Thousands of area workers and residents enjoy yoga, Pilates, and barre classes--all for free! 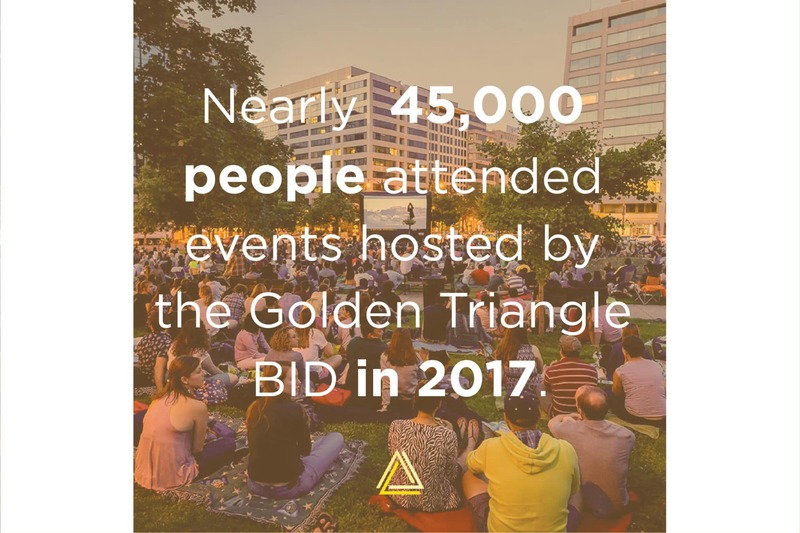 Another advantage: The BID continually strives to enliven its streets and parks, including partnering with the Renwick Gallery to bring Burning Man sculptures to the Golden Triangle. 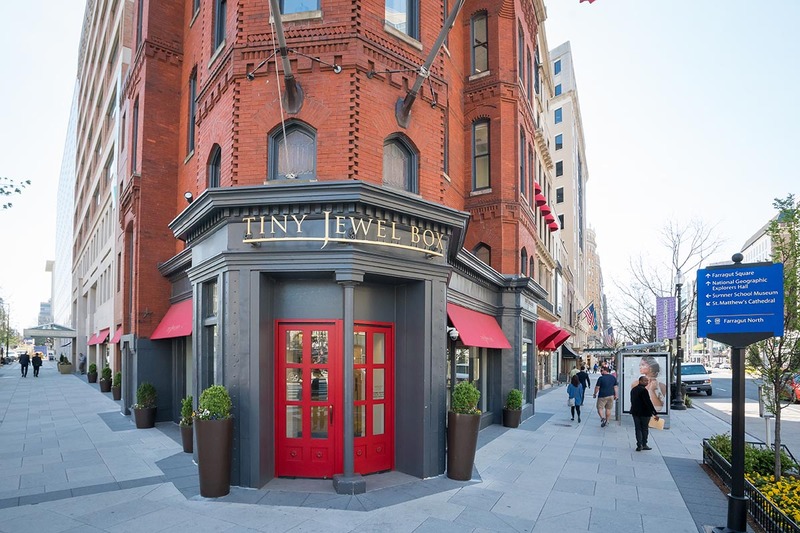 A popular lunchtime destination for area workers, 19th Street NW is also seeing a recent boom of redevelopment and renovation. 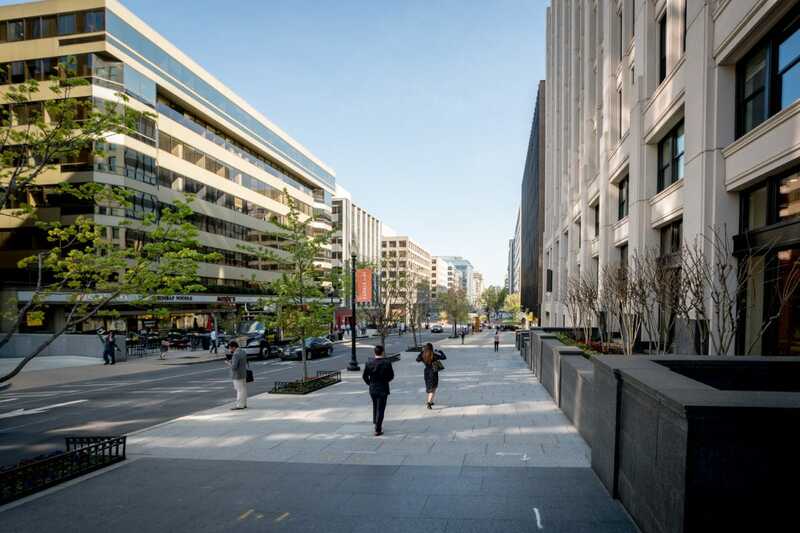 Iconic K Street and the surrounding area continue to attract major advocacy organizations and law firms (including a third of the top 100 firms in DC). The Golden Triangle BID strives to enhance the neighborhood through long-term programming and beautification initiatives, such as the rain gardens at 19th and L Streets NW. These types of projects leverage existing assets and help make the Golden Triangle one of the world’s premier places to live, work, and play. In addition, day-to-day BID services like trash and recycling pickups, sidewalk power-washing, and curb cut snow removal keep the Golden Triangle an attractive place to do business. To find out more about what makes the Golden Triangle such a great place for both business and leisure, sign up for the monthly Market Report email and explore the Research and Market Data by topic. If you’re a business owner seeking to grow, view spaces for retail and restaurants using the Available Retail Spaces Map, or visit Tech and Innovation to find resources for start-ups.